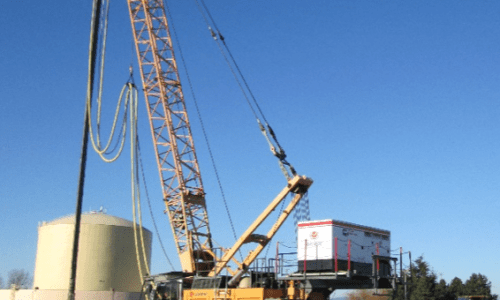 Fortis BC is expanding their Tilbury Island LNG (liquefied natural gas) facility with the addition of one new LNG storage tank and ancillary structures. In general, the subsurface soil conditions consisted of approx. 1.5m of surficial granular fill, underlain by 3m of silt to sandy silt, underlain by interbedded clean sand / silty sand / sandy silt to the depth of treatment at 18.5m. Groundwater was measured at approx. 1.5m below ground surface. 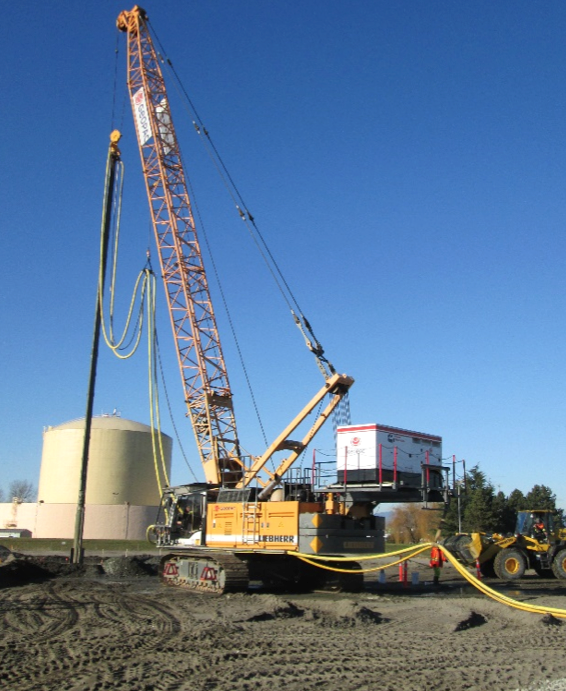 Soil densification was required to mitigate the potential of soil liquefaction during the design seismic event. Geopac was awarded the job to carry out ground improvement work for the proposed expansion in 4 stages. The work began with 2 trial areas comprising 20 stone columns for each area to assess the effectiveness of treatment as well as to determine parameters for stone column installation. Post-Improvement verification testing were carried out during the progress of the densification program to measure and review the degreee of densification achieved. A total of 45 CPTs were pushed at the centroids of the equilateral triangles comprising the stone columns installed at 2.75m spacing. Basing of those CPT results, the target cone tip resistance were achieved.